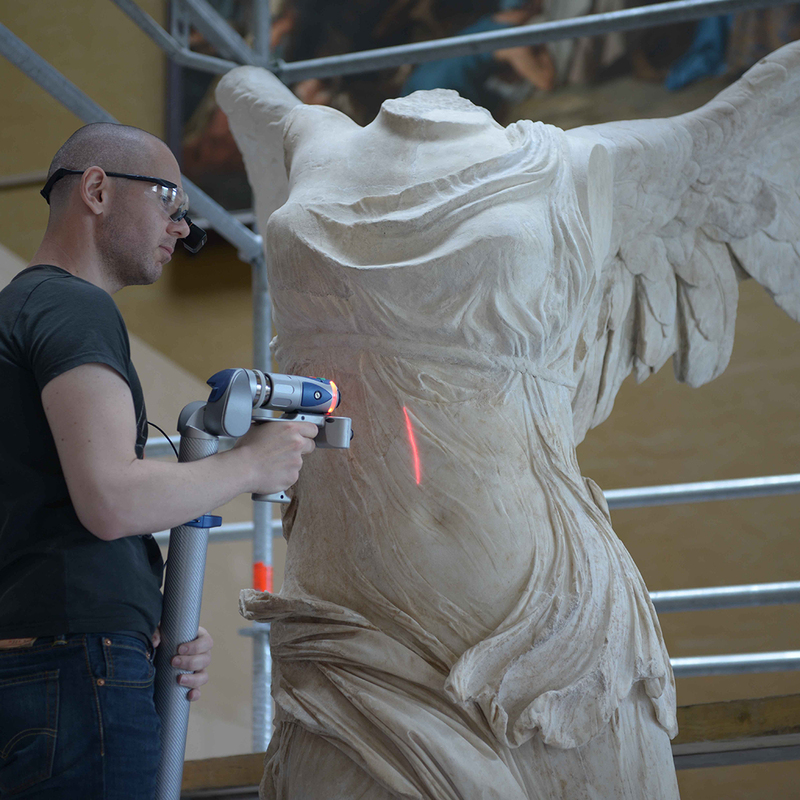 The Louvre Museum entrusted Art Graphique & Patrimoine with the 3D digitization of one of its key masterpieces : the Victory of Samothrace. The AGP team stepped in during the various phases of a vast restoration operation of the statue. The FARO ScanArm laser scanner used during this scan allowed a great freedom of maneuver while having a very high precision. Scans from the statue, ship and pedestal served several purposes. 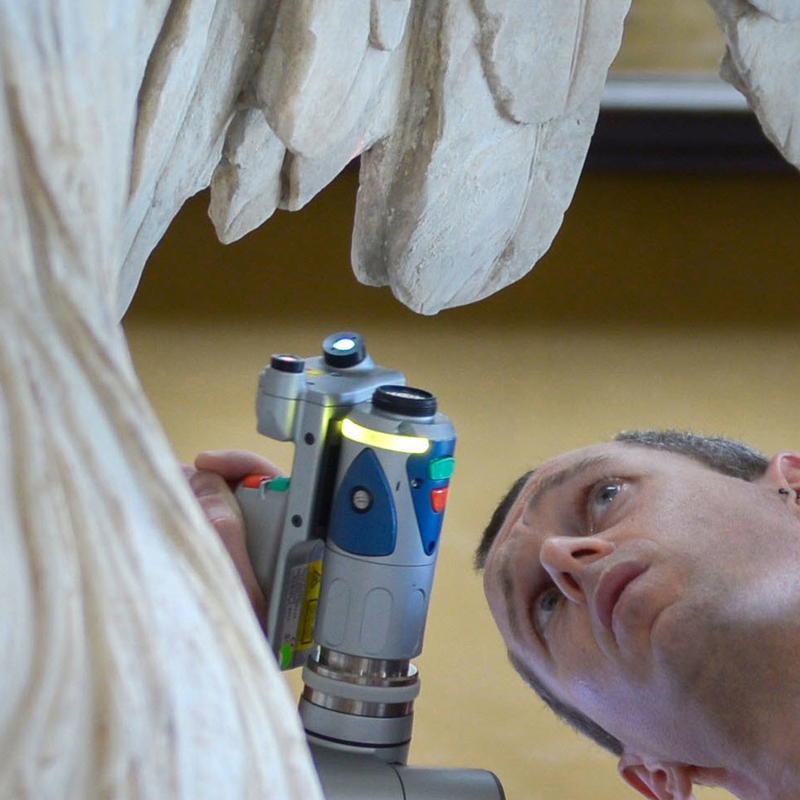 It was first of all to obtain a precise state of the statue, just after the restoration, which is a help for restorers and conservators in the analysis of the work. In addition, the 3D model has a mediating role. It has therefore been integrated into the Focus series of the Louvre, a web collection presenting, under the microscope, the emblematic works of the museum on its website. 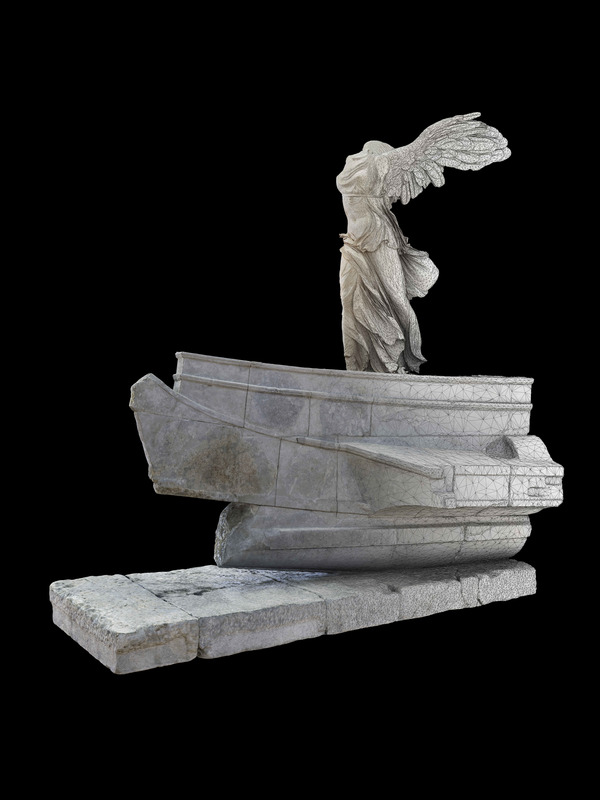 Finally, the 3D model also offers the possibility of reconstructing the missing elements of the statue either from scattered and modeled fragments or by virtual reconstruction.